Retired! No one told me! | Retired? No one told me! Category Archives: Retired! No one told me! Welcome to this week’s cookery column where I will be cooking with mince…sometimes I buy my mince ready to go and sometimes I mince my own using a very sharp knife it is a coarser mince then but some recipes call for a coarser type of mince meat. If I am mincing already cooked meats i.e. that elusive lamb for a cottage pie I would use my Nan’s mincer which I still have, which is many years old and has been around the world with me, it must by now be 70 plus years old or more and still works . Any meat can be used chicken, pork, beef and where to start?? This entry was posted in Carol's Cookery column on Smorgasbord, Cooking from scratch, Cooking with mince, Retired! No one told me!, Sally Cronin, Uncategorized and tagged Beef and parmesan Burgers, Chilli Con Carne, Cooked from Scratch, Home made burgers, Home made tomato sauce, Recipess, Spag bol, Thai Larb Burgers on June 27, 2018 by CarolCooks2. The one thing which I hope will not change for a very long time is the street food stalls and the markets. As a child, I remember the thriving markets my mum used to take me to and now they are all gone disappeared…Yes, cities like London, York and others still have thriving Markets with organic produce and speciality goods but proper local markets seem to have all but disappeared. It is different here wherever I have lived or visited in Asia there is a market or two…every single day no matter where you live. We can drive from one town to another through local villages and there are markets, not just the odd one but many they are the heart and soul of Asia to me..wonderful street food and beautiful fresh produce…They range from a small group of 10 stalls just selling meat or vegetables to huge markets selling everything. There are floating markets where you are hauled over to the floating boat to check the wares with a boat hook ..beautiful handmade goods, wonderful fresh fruit and freshly cooked food… If you haven’t experienced the wonders of a floating market then you haven’t lived. Deep fried and crispy, ant eggs, soy eggs, 100-year-old eggs the list is endless… If you would like to create an authentic Thai recipe in your own kitchen then here is the authentic recipe for ANT EGG salad…I hope you enjoy! It is a virtual treasure trove of new discoveries for me …I think every single market I have visited holds more new delights and things I haven’t seen or tasted before…Some I recognise…Much I don’t… Much of what is sold is localised from one area to another so always a surprise or a find…I love it! Do I have a favourite…No! Some quite young but many very old… their only income..here there is no cushion, no social handouts, if you have nothing to eat …That, is exactly what it means … Nothing to eat! This entry was posted in Ant eggs, Authentic Thai Food, Carol Ann Taylor, Northern Thailand, Retired! No one told me!, Rural Thailand, Street food, Travel Thailand, Uncategorized and tagged Farmers Markets, Rural Thailand, Street food on May 27, 2018 by CarolCooks2. I am loving doing this monthly trawl of the culinary alphabet and I think it was a great idea of mine…I am finding out how much I really know and also how much I don’t know… There is always something to learn and I love that. Until next time, have fun, enjoy and laugh a lot and if you want to see more from me???? I am a crazy English lady with a quirky sense of humour…Still, want to see more from me??? This entry was posted in Esme Salon, Retired! No one told me!, The Culinary Alphabet, Uncategorized and tagged Daube, Dirty Rice, Dolmas, Durian Fruit on May 24, 2018 by CarolCooks2. 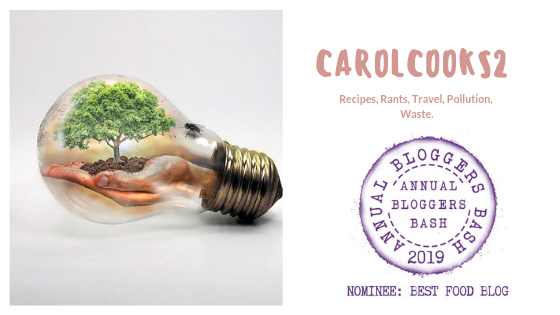 Smorgasbord Blog Magazine – The Food and Cookery Column with Carol Taylor – Getting to Know You. I know that you were expecting some new and delicious recipes here today from our resident cookery expert Carol Taylor… however, I thought instead that I would share Carol’s Getting to Know you post instead. Since you were already here!!! Carol and I teamed up a year ago for a cook from scratch series (expect that to be reshared at some point). And then as the blog moved towards a more magazine style, I suggested that Carol might like to be the food columnist. Since the beginning of the year we have been treated to recipes for many of our favourite ingredients but also some of the more exotic offerings of her home in Thailand. Always beautifully presented and easy to follow. Before Carol shares the five questions that she has chosen for her interview, here is a little more about her. This entry was posted in Carol's Cookery column on Smorgasbord, Retired! 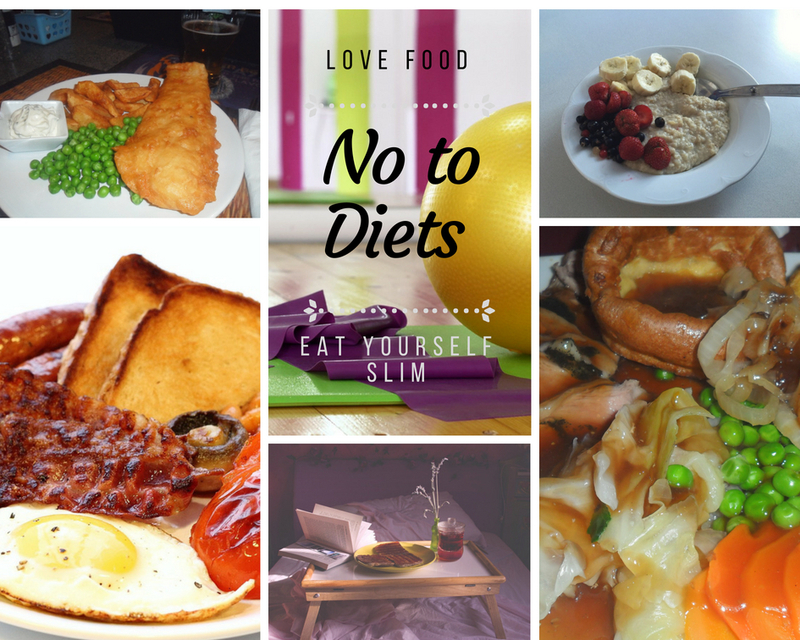 No one told me!, Sally at Smorgasbord Health 2018, Sally Cronin, Uncategorized and tagged 5 questions, blogging, Getting to know ME!, Greengage jam pie and gravy on May 23, 2018 by CarolCooks2. Competition is very fierce this year and it is just an honour to have been nominated to win would be the icing on the cake. If you have already voted for Moi then you have my thanks… If you haven’t yet cast your vote then please pop over and tick that box… I will make you a cake …Well, maybe not a cake BUT how about a bowl of these…??? I bet that got your attention!! I have been nominated under ” The Hidden Gem” category and my blog is Retired No One Told Me! There are also lots of other lovely blogs in all of the 9 categories so please if you haven’t already voted for your favourite blog( s) then please vote. There has been a HUGE number of nominations, so thank you to everyone who took the time to nominate your favourite bloggers. Voting closes at midnight on April 30th (BST). The winners will be announced on May 19th at the Bash in London. If you can’t make it along to the event don’t worry, we will put winners post out on the evening of the same day. Although we have pingbacks to all the winner’s blogs it would be best for you to check back to see if you won. This entry was posted in Annual Bloggers Bash, Hidden Gem, Retired! No one told me!, Uncategorized and tagged Annual Bloggers Bash, Crispy fried insects, Hidden Gem, Retired! No one told me! on April 23, 2018 by CarolCooks2. I have only ever seen these dried before not fresh…so something new to try… I just love it when I come across something I have not used or seen before…I get so excited. I love finding fruit and vegetables which I haven’t come across before and this one caught my eye when shopping …I did have to put out a call on FB as I didn’t know the name or what I could do with it…Luckily one of my Indonesian friends came to the rescue…Once she told me the name I recognised it as having had a tea made from the dried fruits a while ago and loving it. Rosella grows easily here it loves a tropical climate it is also a very pretty plant the species grown here in Thailand has broader leaves and pink rather than cream flowers and the leaves are used more than the fruits. Also known by the more recognisable name of Hibiscus it is rich in Vitamin C and when made into a tea is promoted as a cure for colds if taken regularly. A very nice sugar syrup can also be made for using in cocktails…Just saying! After some scouring of the internet, I came across a recipe for jam…I only made a small amount as I was not familiar with the fresh fruit or the taste. Firstly I soaked the fruits in cold water for about 20 minutes so as to not only clean them but remove any insects. It was then a case of removing the seed pod from the inside of the fruit…Covering the seed pods with water and cooking them for about 20 minutes. The seed pods contain naturally produced pectin…I simmered these for about 20 minutes and then removed the pods and disposed of them aka binned them.Remember to keep the cooking water. I weighed the flowers before cooking them and then I measured exactly half their weight of sugar. The Rosella flowers were then added to the cooking water in which the seed pods were cooked and the fruits cooked until they were softened and the liquid starts to turn syrupy which took about 10 minutes I then added the sugar and cooked the fruit until it softened and turned jam-like.. The key to this recipe is to weigh the fruit and do the exact amount of sugar and water. This makes a very nice fruit preserve and one which I will definitely make again. N.B. Next time I will cut the fruit into smaller pieces rather than leave them whole. Bring to a soft rolling boil and cook until the liquid is greatly reduced. This takes approx 25-30 mins. When the chutney is almost done, add the vinegar and stir well. Remove the pan from the heat and allow to cool slightly and put in a sterilised glass container. Lovely as a relish with cold/ hot meats or in a burger… with brie and freshly made bread it is very nice. This entry was posted in Authentic recipes, Fruity Fridays, Retired! No one told me!, Rosella Fruit, Uncategorized and tagged Chillies, Ginger, Recipes, Rosella Jam, Rosella Relish on April 14, 2018 by CarolCooks2. To say I am overwhelmed is very true…I always watch and vote for my favourites and so wish I was there…One day!… Nearly ( haha) lost for words. Whoever you are... I am speechless… Delighted…Overwhelmed… Just gobsmacked… Thank you! I love what I do and all your comments …Yes… YOU… I love the comments more than anything… I am the only European lady here so to chat in English to you guys always makes my day… I am genuinely just overwhelmed by the kindness and friendships I have formed since I started blogging and now THIS it is the icing on the cake… Guess I am now going to have to do some baking… Although my little helper makes some lovely cakes. Aston with his butterfly cakes…Not bad for a first attempt. Hidden Gem…Retired No One Told Me! This entry was posted in Annual Bloggers Bash, Retired! No one told me!, Uncategorized and tagged Annual Bloggers Bash, blogging, Retired! No one told me! on April 8, 2018 by CarolCooks2.